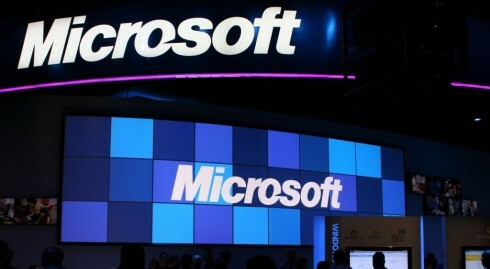 As announced via an official blog post, Microsoft has hired Julie Brill, former Commissioner of the U.S. Federal Trade Commission (FTC) to lead their privacy, data protection, and other regulatory issues. She has been appointed as the corporate vice president and deputy general counsel for Privacy and Regulatory Affairs Group. This is a newly created role at the Redmond giant. Prior to joining Microsoft, Brill was nominated and later appointed as the commissioner of the U.S. FTC back in 2010 by former President Barack Obama. She was one of the recognized leaders on privacy and cyber security practices in the country, with The National Law Journal citing her as a 2016 Trailblazer in Cybersecurity and Data Privacy. She is also known for working with a cohort of international countries, especially credited for strengthening its relationship European regulators. She served this role for nearly six years, before stepping down in early 2016. She then joined law firm Hogan Lovells to co-lead its Global Privacy and Cybersecurity Practice Group. But, within a year, she has now been poached by the Redmond giant to lead its team responsible for shaping the company’s global legal, regulatory and public policy response to issues faced by the tech sector. I’ve been deeply impressed by Microsoft’s commitment to privacy, their willingness to stand up for customers and their focus on offering constructive solutions to new challenges. I’ve always tried to do the same throughout my career in government. I’m thrilled to have this opportunity to contribute in a new and particularly meaningful way. In her new position at the company, Julie Brill and her team will closely work with external stakeholders – including policy makers, regulators, customers and civil society. Their primary objective would be ensuring that Microsoft is not violating any global privacy and data protection laws — and if does, then remove those quirks instantly by negotiating with the parties involved. They’ll also work with the company’s engineering groups to bake strong privacy protection standards into its products and services. Cloud computing, big data and artificial intelligence have the potential to drive profound and positive change across society, but they raise new issues and responsibilities as well. Julie’s deep expertise in privacy, keen intellect and strong international relationships will enable our customers to use the Microsoft Cloud knowing that we will help meet their global technology regulatory needs.